ACS Calibration is an Alabama certified scale calibration and service company with the Alabama Department of Agriculture and Industries – Weights and Measures Division. We are committed to providing quality service to our neighbors throughout the state of Alabama, including rural areas. As natives of Alabama, we understand that obtaining calibration services can be difficult or expensive in some locations. We will work with you to get you the most competitive price possible to ensure that your Alabama certified scales are always up to date and compliant with the governing regulations of your industry. Scale accuracy is critical to many processes in diverse industrial applications. A wide variety of industries including manufacturing, paper and pulp, nuclear, refineries, and R&D (to name a few) rely only the accuracy and repeatability of their scales. ACS Calibration ensures that your measurement instruments meet quality requirements through our ISO 17025 accredited calibration laboratory services. Your ISO 9001 calibration compliance will always be maintained when using our scale calibration services. Is your scale or weighing device Legal for Trade in the state of Alabama? Click Here to check! ACS Calibration provides calibration services for Alabama certified scales from an wide variety of manufacturers and models. Our technicians test the full range of the scale or balance in accordance with your directives and specifications. ACS Calibration offers ISO 17025 accredited calibration services compliant with ISO 9001 to ensure traceability to the SI through NIST. Alabama certified scale calibration services are available either at our laboratory or at your facility, depending on location and number of instruments requiring calibration. If you need to maintain the accuracy of your Alabama certified scale, then you need calibration services from ACS Calibration. Our calibration processes ensure that your instruments meets engineering, machining, parts design, quality control, and inspection requirements. You’ll be confident knowing that your Alabama certified scale will provide accurate measurements. We are an ISO 17025 accredited calibration laboratory in Alabama with a focus on the Southeastern region (Alabama, Georgia, Florida, Tennessee, Mississippi, Louisiana, Texas, Arkansas, South Carolina, and North Carolina). We have a network of laboratories in North America and Central America to ensure that your calibration requirements are met, regardless of location. Our solution is complete and comprehensive – we maintain not only instrumentation calibration by ACS Calibration, but we also maintain the data for third party and internally calibrated instruments. We schedule calibration due date reports to be emailed out based on each customer’s individual needs. Calibration certificates are available on-line in our calibration database to support your audit activities. 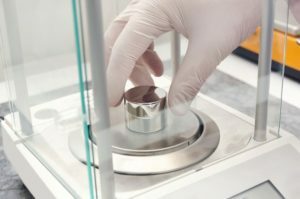 Our ISO 17025 accredited laboratory and quality management system ensures that your instrumentation is both calibrated and managed at the highest level of quality.